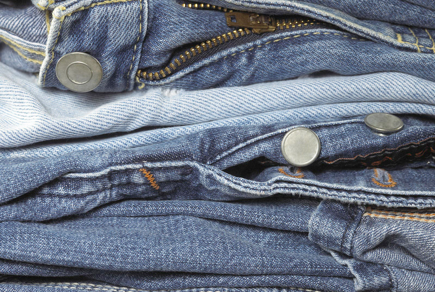 You or your group can help us by hosting a jeans drive to collect old denim jeans. 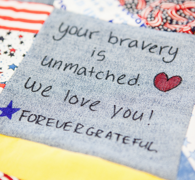 We repurpose the jeans into denim squares and have people write/draw on them for our troops. 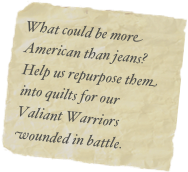 The squares are then incorporated into quilts and sent to Wounded Warriors (we prefer to call them our Valiant Warriors). 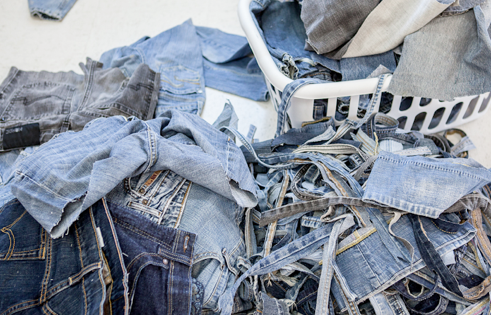 Or you could host a Square Cutting party to prep the jeans into squares. We’ll bring the tools. You bring the helping hands. Working together, we can serve those who serve us. 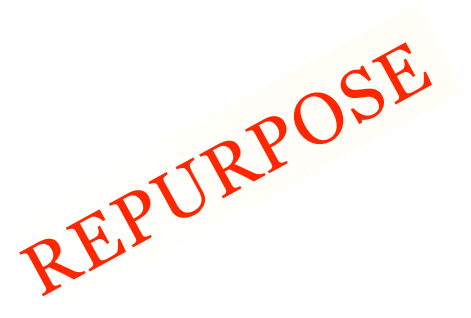 Even the leftovers are repurposed for crafts and pet beds!